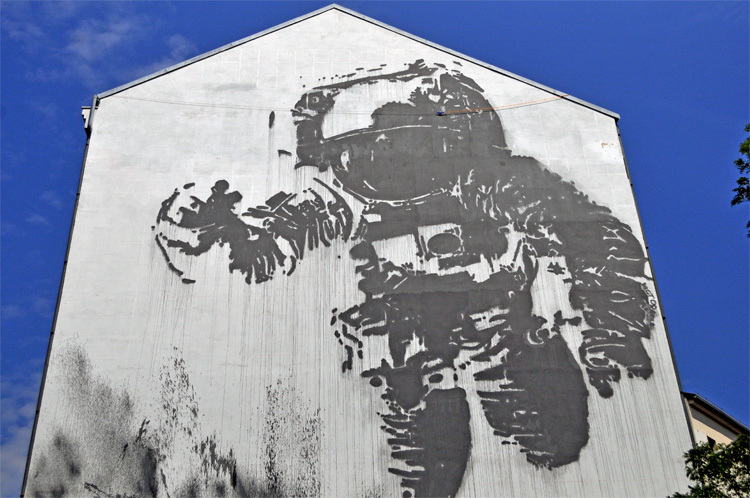 With great versatility of street art Berlin has to offer, comes great versatility of tastes, likes or dislikes, ways to approach the art and manners in which it can be experienced. 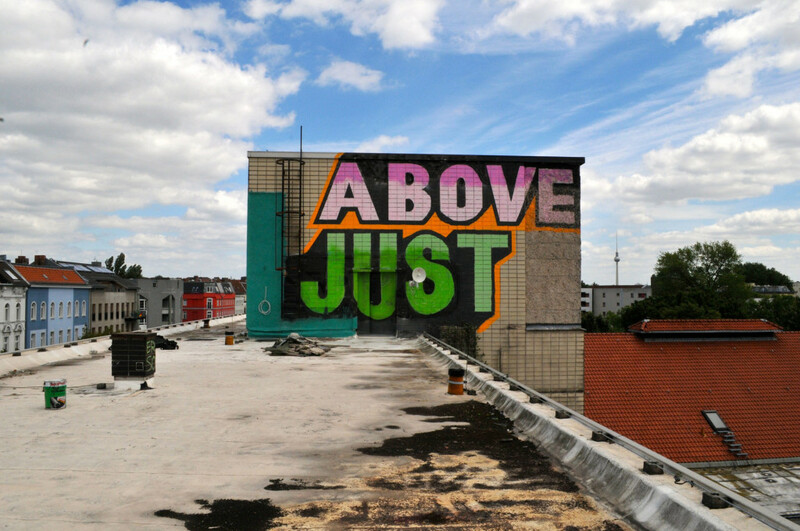 One of the key points why taking a graffiti tour with Berlin Street Art is a must for any enthusiast or visitor, are the options and accommodations we provide for each and every participant of the tour. Each outing is different, and before every sightseeing, our guides contact the client in order to exchange information and plan out a perfect experience suited for the viewer’s needs and desires. 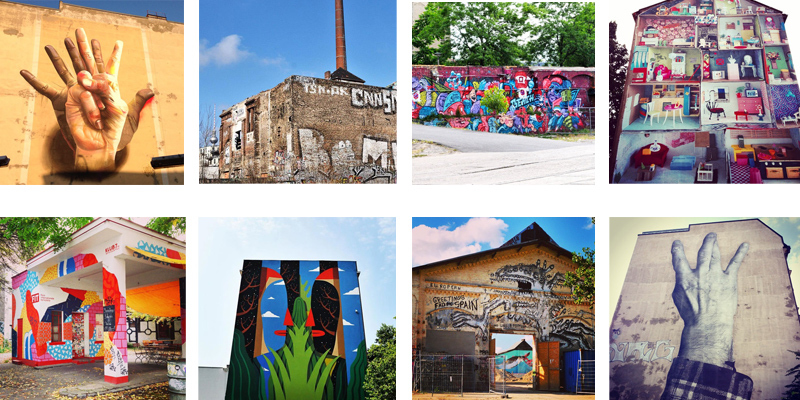 Whether you’re a history buff who loves venture deep into the backstory and discover all the details of the city’s colorful background; or you just want to make some awesome photos and lifelong memories of the remarkable street art in Berlin, every tour will be tailored to your taste. We might spend more time in the historic core of Berlin – the famous Mitte, or just cruise by it and head towards the Friedrichshain or Kreuzberg for a more alternative setting. You tell us your taste and desires and we’ll organize the tour around your interests. Before we hit the streets and start the journey of amazing discoveries, we first invite you to join us for an introduction and a cup of coffee. In a pleasant and quiet environment we take our first step into the extraordinary story of the magic that is Berlin. Before we encounter the landmarks and key points of the tour, we will learn some essential information about the tales behind Berlin and the vivid stories behind its street art. This short, but sweet, introduction will be just enough to provide you with the necessary basis to recognize some of the works and styles, but not overwhelm you with too much information, it will entice you, tickle your imagination and get you prepared for the amazing journey up ahead. Ultimately, aside from the mesmerizing visual effects of the street art, you will find yourself richer with knowledge and perhaps even a newly acquired taste for art. 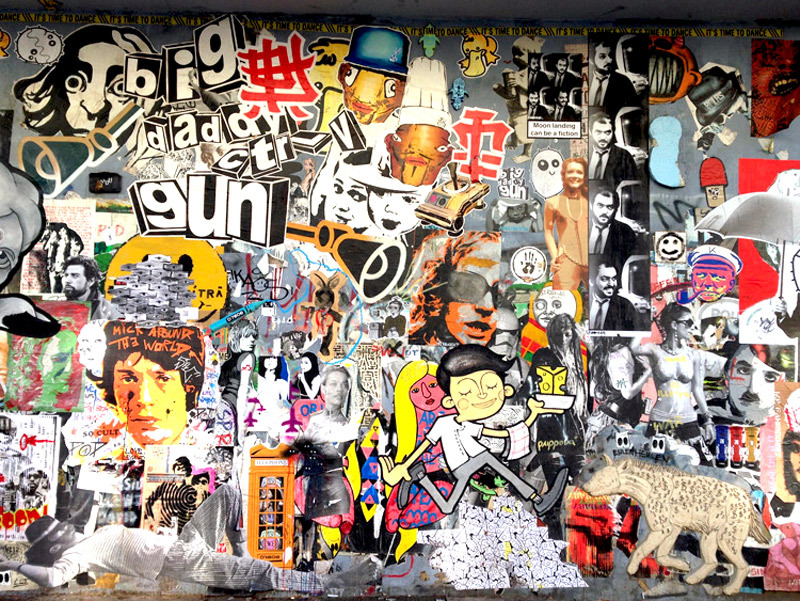 It is practically impossible not to find yourself fascinated and immersed into the evocative world of Berlin street art and graffiti. You may even go into it completely ignorant of all the techniques, styles, and artists, but you will leave the tour with at least one or more new favorite creators and artworks. And even if, somehow, none of the pieces find their way to your heart, at least you will come to know the difference between a stencil and a painting, between a tag and a graffiti, you’ll be able to tell a mural from other techniques of street art and discern the differences and similarities between some of the best artists in the biz. No matter if the winter’s beating down on the passengers in the busy sidewalks, or the summer haze is at its full swing, our tour adapts to the conditions and accommodates the circumstances. For the cold, dreary days, we will occasionally find a warm spot to rest and replenish our energy, while in the hot and lazy days of summer we’ll keep in shade and make the tour as enjoyable as possible, not allowing the weather to spoil the experience. The tour offer is active throughout the year, so whenever you feel like hitting the streets and discovering their allure, we’re open for business and we welcome new customers. 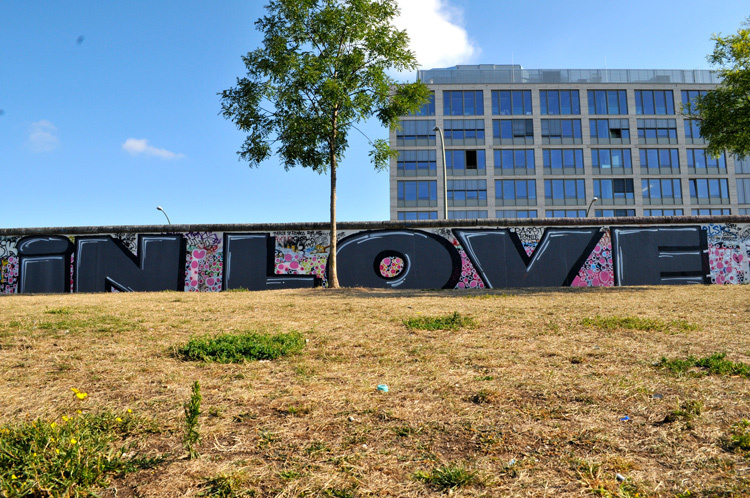 Who else better to give you advice on what to see in Berlin than ein Berliner? And who else better to give you advice on which museum, gallery and art space to visit than ein Berliner? 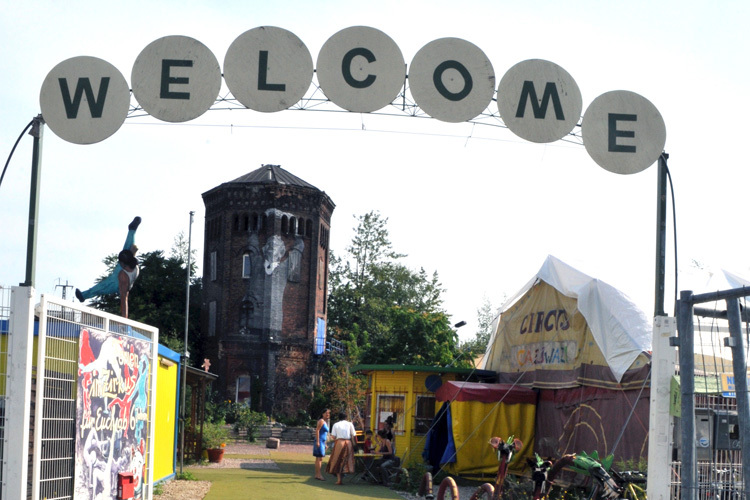 Having established our presence in the art scene of this beautiful city, we are proud to be part of its majestic world, and we are more than happy to share our recommendations and tips to guide you even further on your artistic journey through Berlin. Even beyond that, we’ll suggest some of the most interesting restaurants, night clubs or coffee places for you to make the best of your time in the city of Berlin. We can help you arrange your itinerary and elevate your experience to a truly unforgettable journey. The actual tour offer is quite extensive and designed to fit your needs and wishes. 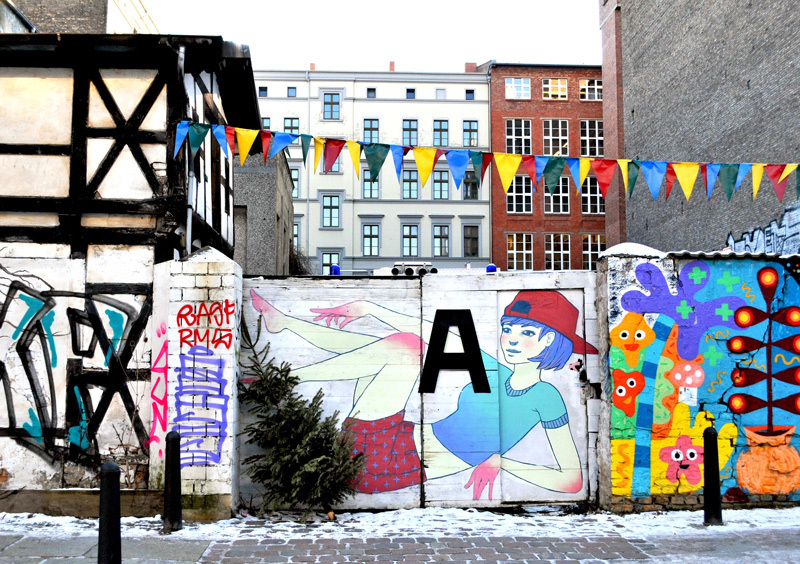 Whether you’re spending your holiday in Berlin with your family and wish to embark upon a street art journey, or you want to spice up your students’ class with some adventures in the city, every instance of the tour can be adjusted to accomodate your group. On the other hand, if you’re more into going through the tour just by yourself and enjoying the sightseeing individually, we can make it happen! It is on you to choose the size of the group you wish to join, or go for a private tour just with you and our guides. Our marvelous journey through the mesmerizing streets of Berlin usually takes 3 hours. During that time, you will find yourself immersed and absorbed into the dynamic world of unique artistic expression that is street art. From the sharp stencil art of Zabou, over the witty cut outs by El Bocho, to the intricate giant murals from Blu, walls and streets of Berlin are screaming with breathtaking art, waiting for you to listen! The three hours you devote to this unique trip will be paid off with lifelong memories that shall redefine your vision of urban life. 8 – Thank you, Please Come Again! For more than 2 years now, our clients’ feedback has been more than positive. The increasing number of friends and families that are being referred to our tour by the previous customers only goes to prove that. There’s no review or criticism that can beat a truly satisfied visitor who’s eager to recommend and share this experience with their loved ones. In fact, we have had people who enjoyed the tour so much that they came back for a second run! Even for our guides, the tour never becomes boring or a routine deal, every person experiences the captivating artwork in their own way, and just seeing how people react and get lost in the street art, further inspires our guides to give their best and enjoy themselves alongside the first-time viewers.